Icynene has been used in unvented attic assemblies for more than 15 years, gaining preference with designers, contractors and building code officials throughout North America as a tried and proven practice. Creative Conservation Co., Inc. can tell you how you can benefit from this approach. In an unvented attic assembly, air-impermeable insulation is applied directly to the underside of the structural roof deck and is tied into the insulation located in the walls so that the roof system becomes part of the insulated building enclosure. The attic space becomes indirectly conditioned as a result of the air leakage, heat transfer and vapor diffusion through the ceiling. A fundamental requirement of an unvented attic assembly is the use of air-impermeable insulation on the underside of the unvented roof to prevent air infiltration and exclude airborne moisture from the attic. This reduces latent air-conditioning loads and provides further reductions in energy consumption. In hot climates, unvented attics are ideal where HVAC equipment and ductwork are located in the attic. Modifying the attic to create an indirectly conditioned attic space with Icynene can significantly reduce energy consumption. In cold Climates, attic ventilation is a common method to remove humid air. In some cases, a conditioned attic assembly may be desired where scissor trusses make it difficult to insulate the floor, or in cathedral ceilings where the intent is to turn the attic into living space. A vapor retarder is recommended in cold climates. With any roof system, there should always be a contingency plan to address the possibility of roof leaks, especially with wood roof decks. Icynene's open cell structure easily allows any moisture or water vapor intrusion to quickly drain and dry out. When the "Energy Crisis" of the 1970s sent home heating and cooling costs soaring, demand for building insulation rose right along with the process of oil, gas, and electricity. As often (unfortunately) happens when demand for a product increases suddenly and dramatically, the promise of fast and easy profits occasionally led to fast and easy sales and marketing practices by some insulation sellers. Eventually the claims and confusion in the insulation market became so extreme the Federal Trade Commission Instituted "The R-Value Rule." This regulation placed clear limitations on the claims and statements manufactures and marketers can make about insulation products and the energy savings they may produce. The regulation is called "The R-Value Rule," because it is based on a mathematical term known to engineers as "The R-factor." R-Factor is a measure of the ability of insulation material to resist heat transfer. It is determined by placing carefully prepare test specimens between two plates in a laboratory apparatus and measuring heat flow through the insulation multiplied by the amount of the material. If insulation has an R-Factor of 3.8, and there are 3.5 inches of insulation between the warm side and the cool side of the assembly, the R-Value of the insulation in the system is 13.3. The R-Value Rule is a good regulation that as significantly reduced misrepresentation and outright fraud in the insulation industry. It's one of the most important and successful consumer protection regulations ever enacted by the U.S. Federal Government. Consumers often assume The R-Value Rule will Automatically and unerringly lead them to the insulation product that will produce the greatest energy savings when it's installed in a building. Unfortunately, this isn't the case. In the real world of building things are a bit more complicated. In fact, they're a lot more complicated. R-Value is a very accurate and reliable expression of how insulation materials perform in a laboratory apparatus. But people don't live in laboratories. They live in homes with real walls and ceiling, and in the actual performance of insulated building assemblies. R-Value is important, but building scientists know that focusing on R-Value to the exclusion of all other factors can result in disappointment with thermal envelope performance. It is known, for instance, that thermal bridging can reduce the actual energy efficiency of a wall by up to 50 percent. U.S. Scientists have proven that convective flows in very light density attic insulation can reduce it performance by more than 40 percent under winter conditions. Canadian researchers have reported a similar effect in walls. "Of the hundred of buildings I have inspected with infrared thermography I have yet to see even one fiber glass job that doesn't suffer some reduced thermal performance. Often the degradation is substantial, especially under windy conditions." Of the hundred of buildings I have inspected with infrared thermography I have yet to see even one fiber glass job that doesn't suffer some reduced thermal performance. Often the degradation is substantial, especially under windy conditions. In the winter of 1989-90 The University of Colorado School of Architecture and planning decided to put two insulation materials to the test. CU researchers built two identical test structures. One structure was insulated with R-19 fiberglass batt in the walls and R-30 batts in the ceiling. The walls of the other structure were insulated with cellulose wall spray, and R-30 lose fill cellulose was blown in the ceiling. Although the normal R-Value of the insulation in the walls and ceiling of the structures was essentially identical, their energy performance was very different. Blower door test showed that cellulose tightened the structure 36 to 38 percent more that fiberglass. The cellulose-insulated structure was seven degrees warmer that the fiberglass structure after a nine hour overnight heat loss test. Most important, after three weeks of monitoring the cellulose-insulated structure had used 26.4% less energy to heat than the fiberglass structure. After analyzing the data, the CU Researchers concluded cellulose performs as much as 38 percent better than fiberglass. "The performance advantage of cellulose in temperate climates appears to be about 26%," they wrote. "This benefit would become more significant in more severe climates." The Colorado data give scientific support to the long-held belief that "R" for "R" cellulose outperforms other fiber insulation materials - often by a very large margin. This real world performance difference does not mean consumers and specifiers should ignore R-Value. R-Value is important to ensure that buyers receive all the insulation they contract for. 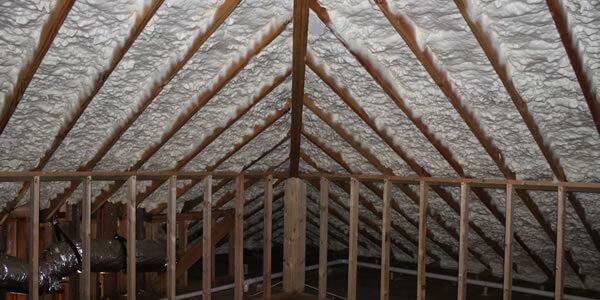 It's also important in comparing prices among vendors proposing the same type of insulation. R-Value is less useful for comparing two or more different types of insulation. For instance, very expensive high density mineral fiber batt that purport to provide an insulation R-Value of 15 in walls with conventional 2x4 framing are available. They achieve this "Laboratory R-Value" by packing three times more glass into batts the same thickness as R11 batts that have been standard for many years. The normal R-Value of cellulose insulation in the same wall would be approximately R13. The Colorado data suggest that to obtain an estimate of relative real world performance of the two materials, the normal R-Value of the cellulose insulation should be increased by 26 to 28 percent. On this basis the R-13 cellulose wall insulation would be expected to deliver performance equivalent to R-16.3 fiberglass batt. No such batts are available. The shortcomings of R-Value as a measure of real world insulation performance are increasingly recognized within the building community. The building environment and thermal envelope council of the national institute of building science (BETEC) has practical methods for measuring the energy saving performance of total building thermal envelope systems and the relative performance of different insulation materials. Until this research is completed buyers and specifiers must remember that "R" for "R" all install is NOT created equal. In the real world of buildings it's necessary to install more "Rs" of fiberglass insulation to achieve the energy-conservation performance of cellulose and other insulation materials less susceptible to air infiltration, internal convection, and installation defect problems than mineral fiber products. Contact us today for a free consultation. Our team of professionals are happy to make recommendations specifically for your home. View more Creative Conservation videos on our YouTube channel. Copyright © 2019. Creative Conservation.